Use this two-week trip to Chile and Argentina, a well-rounded active adventure, as inspiration for your next South America vacation. 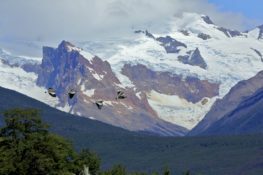 Travel alongside Knowmad travelers Stan and Kathy as they hike, sightsee, ice walk, spot wildlife, and photo safari in both Argentine and Chilean Patagonia. And top it off with a visit to Iguazú Falls and some incredible food and wine in Buenos Aires. See their full itinerary and photos of the region below. When asked if they enjoyed their trip, Stan and Kathy had a lot of wonderful things to say, “thank you Jordan for a very well planned and executed trip. All of your arrangements went off flawlessly. The people we dealt with were top notch and seemed concerned about the success of our trip. I’m not sure you can take credit for it, but we even had perfect weather. Patagonia and Iguazú were both spectacular. I would recommend this trip to anyone who loves the outdoors. It was as good as any one I have taken and may have been the best. We seemed to have exactly the right amount of time in every spot we visited.” Thank you so much for your kind words and for exploring South America alongside Knowmad! 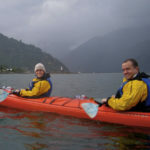 Here at Knowmad, we create private and custom trips to South America, if this trip doesn’t include all of the regions you were looking to travel to or the excursions you hope to experience, don’t hesitate to reach out to one of our Trip Specialists at 612-394-2894 or travel@knowmadadventures.com today! See all the fun and adventure they fit into two weeks in Chile and Argentina below. Upon your arrival to Buenos Aires, Ezeiza Airport to begin your Chile and Argentina adventure (generally early in the morning following an overnight flight from the U.S.) you will be met by a Knowmad Adventures representative and transferred to your accommodations in Buenos Aires. You will be picked up in the morning at your hotel for a privately guided 5-hour excursion of exploration in Buenos Aires. Buenos Aires is undoubtedly the Latin American city that most closely resembles the cosmopolitan and aristocratic atmosphere of the big European capitals. But Buenos Aires is also much more than that, combining the multi-colored tin houses of La Boca with the popular tango ambience that thrives on the streets of San Telmo. This is the blend that makes Buenos Aires a unique and irresistible metropolis. This tour highlights these aspects of the city, through its history and culture: the historic development, the immigration process, specific cultural topics (soccer, tango music), its architectural heritage, Peronism and other interesting features of Argentine society. Our journey begins at Plaza de Mayo, the city’s foundational site and an important witness to our country’s political history. We visit the Pink House, our Presidential Palace, the Cabildo, our colonial town hall, and the neoclassical-style Metropolitan Cathedral, final resting place of Argentina’s founding father, General José de San Martín. We then head for San Telmo, one of the oldest neighborhoods in Buenos Aires. It was the residential district of the Buenos Aires “aristocracy” until the late 19th century, when a yellow fever epidemic caused the wealthier families to move northwards. The area was marginalized until the 1970s, when many artists and artisans came to San Telmo to install their workshops. Nowadays, thanks to its amazing architecture and convenient location, this classic neighborhood has undergone a process of gentrification and is blooming. We walk its cobbled streets, where the city’s colonial past seems to come back to life, and we make a stop at Plaza Dorrego, best known for its traditional antiques fair, held every Sunday. Leaving San Telmo behind, we continue southwards to La Boca, one of the city’s most authentic and charming neighborhoods. It is a working class district, heavily shaped by Italian immigrants who came to our country in large numbers during the last quarter of the 19th century. The neighborhood’s colorful buildings and its characteristic tenement houses reflect the cheerful spirit of the Italian community. As in San Telmo in the 1970s, nowadays La Boca is being renovated, and more and more artists and TV producers are choosing this neighborhood to set up their workshops and studios. Here, we make a special visit to the mythical Caminito Street, which embodies everything that gives La Boca its distinctive spirit: the strong passion for soccer, the heavy presence of art and color, and the tango atmosphere. Heading back north across the river, we pay a visit to Puerto Madero, a port district that contrasts the other neighborhoods we visited. Puerto Madero is the result of an ambitious urban project, which began in 1991 and renovated more than 170 hectares of an abandoned port area, transforming it into the city’s new international district and at the same time accomplishing and old dream: integrating the river and the city. The huge warehouses and grain storage buildings have been renovated and redesigned, in order to create a new business, residential, hotel and gastronomic neighborhood. Following the trail of the upper classes in their retreat to the north, we visit La Recoleta, where we discover a sharp contrast with the neighborhoods in the south of Buenos Aires. Here we will learn about the dream of our local aristocrats in the late 19th century and early 20th, when they sought to build a small-scale Paris in the heart of Buenos Aires. After visiting the impressive Plaza San Martín, and admiring the sumptuous Belle Époque palaces, which contrast with the modern concrete mass of the Kavanagh Building, Latin America’s first skyscraper, we walk down Avenida Alvear, chosen by the world’s most distinguished brands to locate their exclusive boutiques. Here we see the many wonderful French style palaces which nowadays house a number of embassies. Once in Plaza Francia, we visit the Basílica de Nuestra Señora del Pilar, one of the city’s oldest churches, which dates to the colonial era. Finally, we admire the celebrated Recoleta Cemetery, resting place of the most important characters of Argentina’s history and political and cultural life. We make a stop at Eva Peron’s grave, one of the country’s most recognizable icons. Following your guided excursion you will be dropped off back at your hotel for a relaxing late afternoon. Later in the evening you will be picked up by Tango Porteno and taken for a dinner and tango show. You will be picked up and transferred to Buenos Aires City airport in accordance with your onward flight to Calfate. After arriving in Calafate you will take the shared transfer bus service to El Chalten, which will drop you off at your hotel. 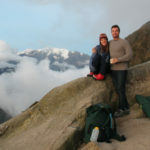 You will be picked up by your private guide after breakfast for an incredible day of hiking. Following your day hiking your guide will give you lots of suggestions and information to best take advantage of your independent hiking days in the area. You will be driven to Estancia el Pilar (25min away from them village) where you will start hiking. After a first part uphill you will reach the viewpoint of Glaciar Piedras blancas. After one more hour up, you will reach Poincenot Basecamp: the startpoint to the famous “laguna de los 3”. From this point, you will start to go down back to the village of El Chalten passing by amazing landscapes and views of the valley. Enjoy the day at your leisure to continue hiking and exploring El Chalten and the surrounding National Park areas independently. Enjoy the day at your leisure to continue hiking and exploring El Chalten and the surrounding National Park areas independently. In the afternoon you will be picked up at your hotel by the shared bus service that will transfer you to Calafate. The service will drop you off at the center of town where you will be responsible for hiring a taxi (around 60 Arg pesos) to your hotel located just past the outskirts of town with a serene and beautiful location. 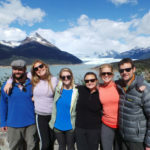 You will be picked up at your hotel in the morning by a group service van and taken to the Perito Moreno Glacier for some introductory ice walking. This will be followed by a Perito Moreno Glacier viewpoint and balconies guided excursion in a group service. We live a unique experience: walking on the Perito Moreno Glacier. We ship at “Bajo de las Sombras” bay, navigate Lake Rico enjoying the impressive views of the southern wall of the Perito Moreno Glacier, and the “Canal de los Témpanos”. We disembark to begin a short walk towards the glacier, where we put on the crampons and begin our adventure on ice. 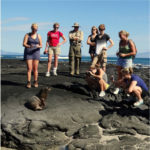 We enjoy magnificent natural views and listen to a talk about the flora, fauna and glaciology. We visit the Glacier’s Observation Point and trails accompanied by our guide. Note: The Minitrekking excursion is suggested for people up to 65 years of age. If the guides consider that the clients are not going to be able to do the excursion, they will not be allowed to hike atop the glacier. The walkways comprise seven balconies, each located at a different height and distance from the Moreno Glacier. As we descend from the higher to the lower balconies, we get closer and closer to the imposing mass of ice and we can see and hear huge chunks of ice breaking from the end of the glacier and falling into the water below, creating huge waves and incredible sounds. Following the excursion you will be dropped back at your hotel. Enjoy the day at your leisure to explore Calafate, enjoy the grounds around your hotel and relax, or to make independent arrangements to return to the glacier. Today you will explore the Chilean part of your Chile and Argentina trip. You will be picked up from your hotel in Punta Arenas or Punta Arenas airport in the morning and driven to EcoCamp Patagonia, located in the world-famous Torres del Paine National Park. Alternatively you can start your trip in Calafate (see Prices and Facts section). En route we make a couple of stops – First in Puerto Natales, a small, lively town on the shores of “Seno de Ultima Esperanza”, where we enjoy a hearty local lunch, and second at Cueva de Milodon, a massive prehistoric cave where the remains of a giant ground sloth were discovered in the 1890’s. The whole journey is very scenic, with plenty of wild birds and wonderful landscapes to be seen. The day ends with our arrival and overnight stay at EcoCamp Patagonia, nestled in the heart of the park with a view of the Torres. During summer the sun sets around 11pm, so upon arrival there’s plenty of light to admire the Patagonian steppe with its guanacos and snow-peaked mountain horizon. After breakfast we drive to Estancia Laguna Amarga, next to the ranger station where we entered the park, and we hop on our mountain bikes & pedal away towards Laguna Azul campsite approximately 20 km to the north east. We cycle past an array of fauna on the Patagonian plains including guanacos and ostrich-like ñandús (plus maybe the occasional puma print! ), heading up north past the cascading Paine waterfall where we can stop for a break to admire the view. We continue our journey heading past a small canyon in the middle of the Patagonian flora and fauna before looping up towards Laguna Azul. Upon arrival at Laguna Azul we’re treated to a classic Patagonian barbecue, prepared by a local Patagonian chef in EcoCamp’s cozy barbecue area on the lakeshore. Once we’ve feasted and enjoyed some rest there’s time to explore the surroundings and climb to the nearby sightseeing point with a panoramic view of the lagoon and the Torres in the distance. The cycle ride back to Ecocamp is optional – anyone who is happily tired after the journey and barbecue is welcome to travel back in the support van (accompanying the group at all times on the outward journey). Back at EcoCamp the cyclists reunite with their Safari hiking counterparts to enjoy the evening aperitif. Energized after lunch we continue our glacial adventure, boarding a boat heading right up to the glacier’s towering face! The boat ride lasts approximately 3 hours and we get to enjoy views of the Paine massif as well as the impressive glacier which forms part of the Southern Patagonian Ice Field. After the glacial boat ride we board the van to go back to EcoCamp for our evening aperitif and meal. After breakfast we are driven east from EcoCamp to a traditional Estancia (Patagonian ranch) with a horse-riding range, founded at the end of 19th century just outside of Torres del Paine National Park. Upon arrival at the ranch stables we meet our local Baqueano (Patagonian cowboy) guide who introduces us to the fine selection of Patagonian horses we will be riding. Our horses have been raised in the area’s wild geographical surroundings but are very well-trained and used to being ridden by anyone – no previous riding experience is needed. We saddle up and set off eastwards, through the fields, passing by a little village en route to Las Flores. 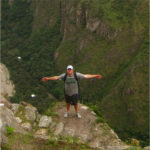 In Las Flores we are very close to Sierra Baguales and have a great view of the mound with its condor and eagle nests. 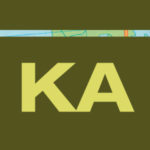 There’s also an adobe house (the only remaining adobe house in the southern Patagonia Magellanes region) we can visit. During the ride we will settle down to enjoy our picnic amid the spectacular Patagonian scenery and reflect on the generations of Baqueanos who have travelled across Patagonia’s plains before us. Our guide will expand on the region’s horse riding history and the geography of this fascinating area so close to the world’s end, with a wealth of stories passed down through generations. We make our way back to the stables by way of Vega Nash, soaking up the experience of riding across the Patagonian plains in traditional fashion. Once we say goodbye to our guide and horse we are driven back to EcoCamp to enjoy our evening aperitif and meal and share our day’s experience with fellow EcoCamp guests. Please note: if this excursion is cancelled because of climate it will be replaced by the trek to French Valley. You will wave goodbye to the Ecocamp and take an early morning vehicle, sit back, relax, and enjoy a scenic ride back to Calafate where you will be dropped at your hotel. You will be picked up following breakfast at your hotel and taken by private transfer to the Calafate airport where you will fly to Buenos Aires and then onward to Iguazu. Upon arrival to Iguazu you will be met by a Knowmad Adventures representative and taken to your charming accommodations. You will be picked up by your guide and taken privately to spend the morning exploring Iguazu Falls. Walk on the upper trails above the waterfalls, and the lower trails, at the feet and among the waterfalls. We visit the “Devil’s Throat” up to its balcony, appreciating it in its full splendor. Following this exploration you will enjoy the “Great River Adventure” (this is in a shared boat, no private service): it combines a jungle trip with a sailing to the falls. We drive through the rainforest of this National Park in a 4 by 4 open truck. After a 5 mile drive we arrive at Puerto Macuco. There, we ship on a zodiac boat in the lower Iguazú River and head upstream, discovering the falls little by little, until we finally a achieve a panoramic view of the Iguazú Falls; we finish with a nice shower under the falls. At the end of this exciting boat trip, our zodiac docks at the base of the lower circuit, in front of San Martin Island. Suggestion: You should bring a bag with some extra clothes because you are going to get wet. You will be picked up at your hotel and taken to the Iguazu Airport in accordance with your onward flight back to Buenos Aires city airport. Here you will be met again by a Knowmad representative and taken to Ezeiza International airport where you will catch your onward international flight home. Are you interested in crafting a two-week trip to Chile and Argentina? We’re regional experts here at Knowmad Adventures and pride ourselves in building custom trips that are a perfect fit for our travelers. If you enjoyed the above Chile and Argentina trip idea you may also like our Chile & Argentina Adventure Trip and/or you may be interested in learning about how to plan a Chile and Argentina food and wine travel experience. If you have any questions or are read to start planning your next adventure, don’t hesitate to contact one of our trip Trip Specialists at 612-394-2894 or travel@knowmadadventures.com. Note: This post was originally posted on December 2, 2014 and was adjusted to include the most up-to-date information on September 14, 2016 and again on December 14, 2017.